Recently, I received a text from a close friend asking for advice on a couple of European travel issues. Though he has traveled in Europe extensively, his last trip was with a tour group about a decade ago. He told me that since I have visited frequently in recent years, I might be able to help him. While I knew the answers, in general, I checked a few websites to be sure I was giving him solid information. I also realized this could be information that others relatively infrequent travelers to Europe would also like to know. The last time I went to Europe I did not have a cell phone like I do today. How does that work besides Wi-Fi? Does AT&T have coverage in Europe? Is there some kind of plan or card I need to buy to be able to is my phone in Europe? This one was easy. Changes to carrier plans in the last couple of years have transformed how I use my phone outside the U.S. On my first trip in 2014, I never took the phone off Wi-Fi mode because roaming (does anyone even use that term anymore?) in Europe was very expensive. However, during my trip this summer, I used my phone daily just as I do at home. Take your talk, text, and data plan to over 100 countries for a low daily fee. Pay the daily fee only for the days you use abroad. Get unlimited calls within International Day Pass countries and back to the U.S. and unlimited texts to the world at no additional charge. Now staying connected while abroad is simpler than ever. Add to each device once and it’s available whenever you travel in included international countries. Just a heads-up. If you have apps running in the background that use data, you’ll be charged the daily fee. All you need to get started is a Mobile Share plan or an AT&T unlimited plan. The majority of European countries are eligible for the day pass. 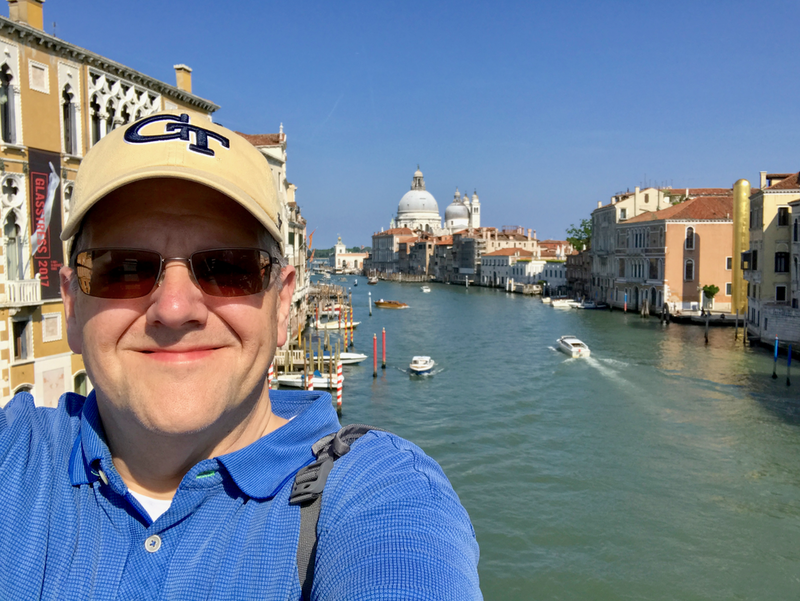 In late June and early July, I was in Europe for all or part of 13 days. The $130 daily fee was not bad, but be advised that the taxes on that are higher than for your normal plan. My total charge with taxes and fees was $155.36 or a 19.5% tax rate! However, this pales in comparison to the costs just a few years ago, even for a fraction of the data that I used this summer. I had no connection issues in Belgium, France, Norway or the United Kingdom. I consider that a small price to pay for the convenience of having full use of my phone. The only thing I could not do was use the mobile hotspot feature. That would have been convenient on some of our train journeys but was hardly a big deal. Verizon has a similar plan to AT&T called TravelPass. Sprint has a couple of options. Sprint Global Roaming includes "2G speeds and texts for no additional charge" with calls at $0.20/minute. You have the option of buying faster data at any point directly from your phone. For most destinations, pricing is $5/day or $25/week for LTE speeds and no overage charges. T-Mobile plans are similar to those of Sprint: your domestic plan includes "unlimited texting and 2G data speeds...at no extra cost." You can buy an International Day Pass for $5 for 512MB of LTE data per day. Of course, you don't have to buy day passes to use your phone. For my first three trips to Europe, I managed by connecting only to Wi-Fi. Most modern smartphones support Wi-Fi calling that is indistinguishable from calls on the wireless carrier's network. Most cafes have Wi-Fi - you may have to ask for a passcode - and many public parks and squares have free municipal Wi-Fi. In 2014, I sat in Arenas of Lutetia, an ancient Roman amphitheater that is now a Paris city park, for half an hour checking social media and email. In some ways, being off the grid has it's benefits. I spent more time focused on my surroundings rather than staring at my phone. The downside was that, on my first trip with my now-wife, when I did get onto Wi-Fi at mealtime, I zoned out and did not pay attention to her - fortunately she still married me! When I went to Europe, I always [got around] by foot or by public transportation. Have you ever rented a car in Europe? If so, what is your experience driving there? Definitely a good question and something I was curious about before my first trip when I did rent a car for one day. I started that trip with a few days in London so I wanted to rent a car for a day so I could experience driving on the "wrong" side of the road. The first thing I learned was that the process of renting a car in Europe is basically just like in the United States - no great surprise there. The biggest surprise for some Americans is that the biggest players are not the companies with which we are familiar in the U.S. While Hertz, Avis, etc. have a presence in Europe, I have always found better rates and availability with Sixt (who, conversely, is a small player in the U.S.). The biggest variability is that each country has differences that are relevant to the rental experience. When renting a vehicle (or hiring as they say in England, one of those quirks of being separated by a common language that enriches the travel experience! ), you want to be sure that you have the proper insurance coverage. This is a fairly detailed subject so rather than write a primer, I will refer to you an excellent article on the topic at Million Mile Secrets. It is crucial to understand that there are two types of insurance: liability coverage for the rental car itself and liability coverage for damage done to others as well as their vehicle and property. Getting the former can be as easy as using the proper credit card, but the latter is much trickier. Let's first consider liability coverage for the rental vehicle. The Chase Sapphire Reserve offers primary rental car liability coverage. When using primary coverage cards, all you generally have to do is pay for your rental with the card and decline the rental company's Collision Damage Waiver. I would recommend confirming your card's terms and conditions to be sure you are following all necessary procedures. You would hate to get a nasty surprise in the event of an accident that you were not eligible for coverage! Other credit cards provide secondary coverage, meaning that the card policy is responsible after any other policies such as personal car insurance that provides rental coverage. Even when you think you have used the proper card for primary coverage, local laws can throw you a curve. When I rented in Ireland a few years ago, I booked with my Chase Sapphire Preferred. I indicated on the online reservation that I would decline the CDW. When I got to the Sixt desk at Dublin airport, the agent told me I had to take the coverage. Needless to say, I was not happy, thinking I had been tricked with a bait and switch. Having no other option, I relented and paid the daily fee (fortunately, it was a single day rental). I later learned that Irish law requires you to accept the CDW. This was a case where I did not do my homework and was completely unjustified in my displeasure. Liability insurance is NOT always optional. Depending on where you travel, you won’t be able to rent a car without it! If you rent a car in Europe, your car will need liability insurance by law. Most rental agencies include liability insurance in the advertised rental price. Further confusing the matter, "some rental agencies give you liability insurance when you pay for their CDW," which you won't have if you decline CDW in order to cover the rental car via your credit card! After I read the Million Mile Secrets article, I began to wonder if I was covered on the three occasions I rented a car in Europe! Fortunately, despite my struggles with driving on the left side of the road, nothing happened either to the car or to anyone or their property. Now that I better understand the details of overseas rental car insurance, I think making certain that you have the proper insurance coverages could be the trickiest part of foreign car rentals! I would advise putting a very big item on your travel preparation checklist to review and understand your insurance options if you will be renting a car. That may mean actually reading the mouse-type legalese on your rental contract that none of us ever read. The second issue for overseas rentals is your driver's license. Many countries accept your American license as is. 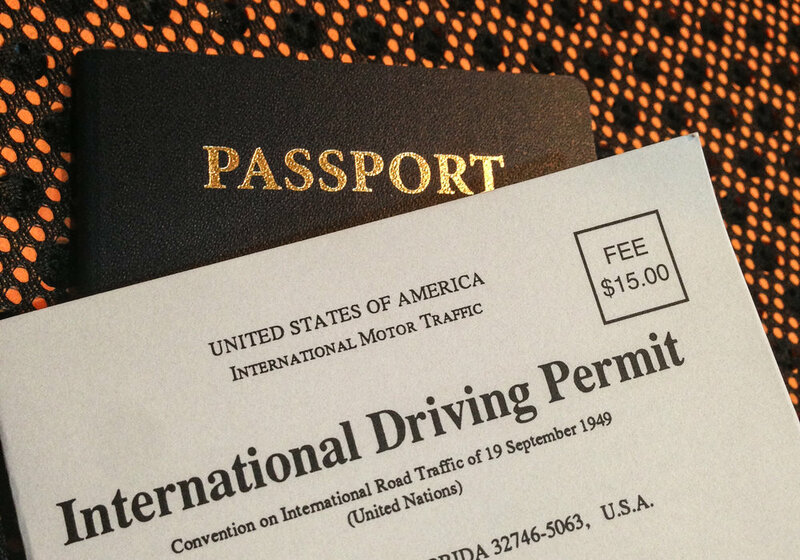 However, some countries do technically require that you have an International Driver's Permit (IDP). The IDP is not a driver's license itself, but rather a document that includes your name, photograph and information. The IDP serves to translate the information on your actual license to various languages and is used in conjunction with your driver's license. You should have both documents with you when operating a motor vehicle overseas. You have to be 18 to apply and the permit is valid for one year from the date of issue (you do not renew an IDP, but rather apply for a new permit upon expiration). There are two private entities in the United States authorized to issue IDPs: the American Automobile Association (AAA) and the American Automobile Touring Alliance (AATA). To determine if your destination country requires an IDP, you should check the website for that country's embassy. I have never had an IDP since I have not driven in a country that requires one, so I cannot speak to the process of getting one. However, my local AAA office told me that they can issue an IDP on the spot and even take the passport-style photo required for the permit. For the most part, driving in Europe is the same as driving in the United States. However, I definitely recommend researching this before your trip. For example, driving on the Autobahn (actually not a single road, but rather many interstate-style limited access highways throughout the country) is similar to interstate driving in the United States, but the speeds involved require even more caution than here at home. While we should only use the left lane for passing when driving on U.S. divided highways, American drivers are bad about impeding higher speed traffic as they cruise down the passing lane. This bad habit takes on a greater degree of seriousness when the car approaching from behind my be closing rapidly as it travels 30-40 miles per hour faster than you. Use extreme caution when moving into the left lane on an Autobahn and quickly clear that lane if a faster car is approaching from behind. It's not only courteous but a dumb, unexpected move could literally be a life or death decision. Sudden braking or swerving at 100 mph-plus speeds can have far more serious consequences than even at typical interstate speeds. This is not to say that driving at very high speeds is particularly scary or exhilarating. You quickly adapt to the speed, though the range of speeds between the fastest and slowest vehicles on German highways can be greater due to the absence of a speed limit. Also, not all parts of the German Autobahn network allow unlimited speeds. Some sections have a speed just like a U.S. interstate, primarily in populated areas and as you approach an interchange. Other signs indicate where passing is not permitted. Be sure you know and understand the various road signs so you are able to follow traffic laws. In other countries, roads are winding and narrow, so blistering speed is not the concern. When we explored the Irish countryside, though a very scenic drive, there were many places where the road was little more than a lane through a field with little room to pass another car. Throw in a lot of traffic from other tourists making the same trip as well as the simple disconcertedness of driving on the left side of the road, and I found my Irish driving experience to be much more tense than blasting down the Autobahn! The left-hand driving experience in England was just as much a challenge but with the added difficulty of mastering two-lane clockwise traffic circles filled with cars whizzing in various directions! Part of the joy of travel is experiencing things that are so different from home, but some of those things can be nerve-wracking, at least until you acclimate yourself to local conditions! As with most things when planning international travel, preparation is the key in order to economically use your mobile phone and have a seamless driving experience. For your phone, review the most up-to-date options for international usage with your wireless carrier. Be sure you have properly signed up for the plan that suits your needs so you don't return home to a $1,000+ bill! If renting a car, research the countries you will be visiting. Review their requirements for foreign driver's licenses as well as for rental car insurance. Also, spend some time familiarizing yourself with the actual driving conditions so you know what to expect - blogs and YouTube are good resources for this. If you spend a little time on these tasks before arriving at your destination, you will have a much more enjoyable experience!